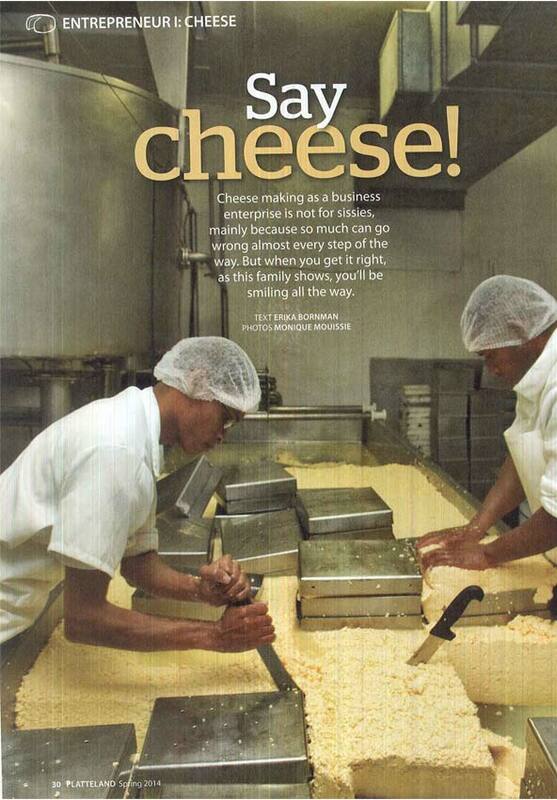 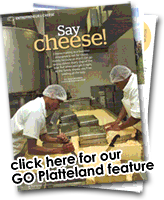 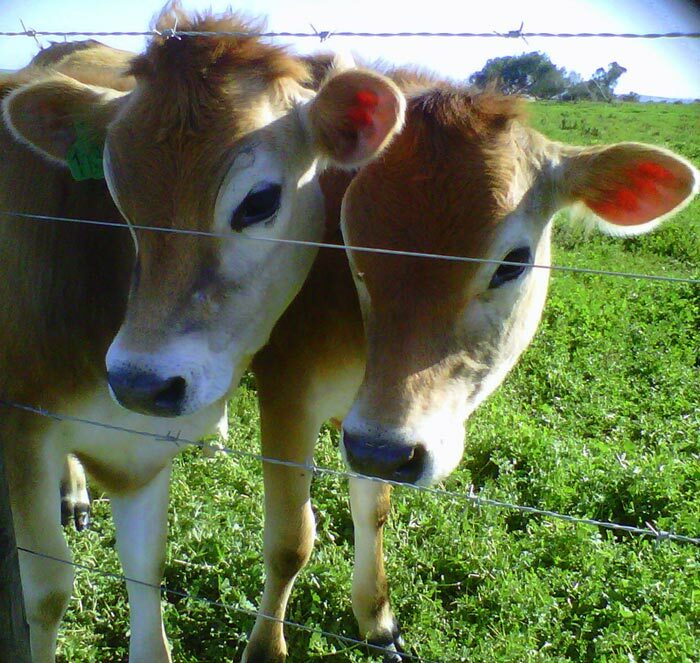 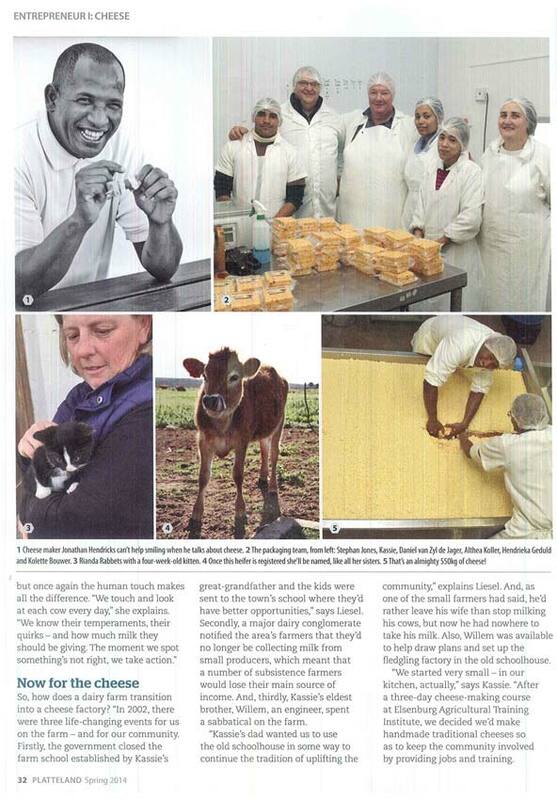 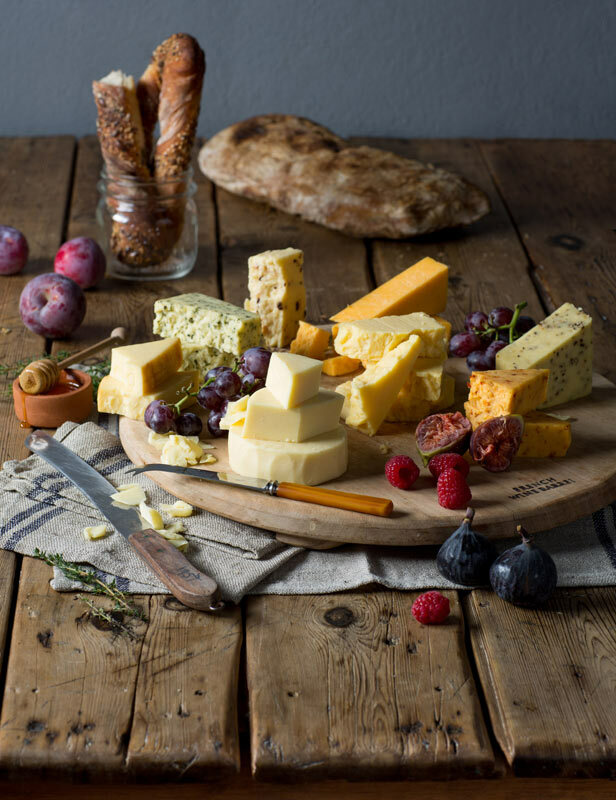 Kasselshoop's traditional cheese is produced on the Kasselman family farm, Klein Soebattersvlakte. 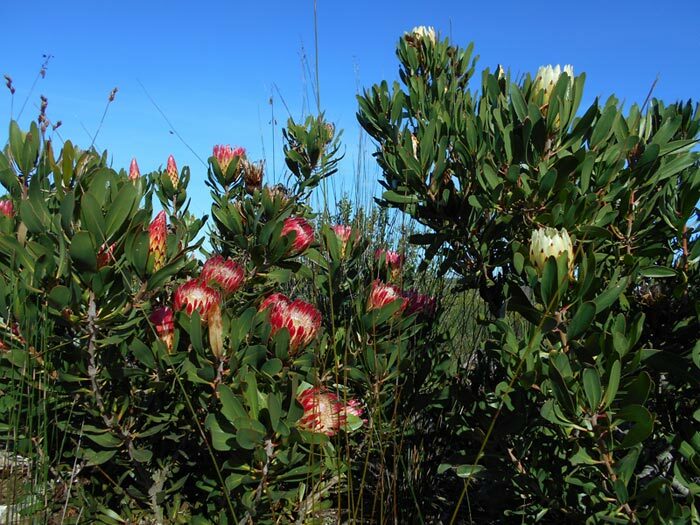 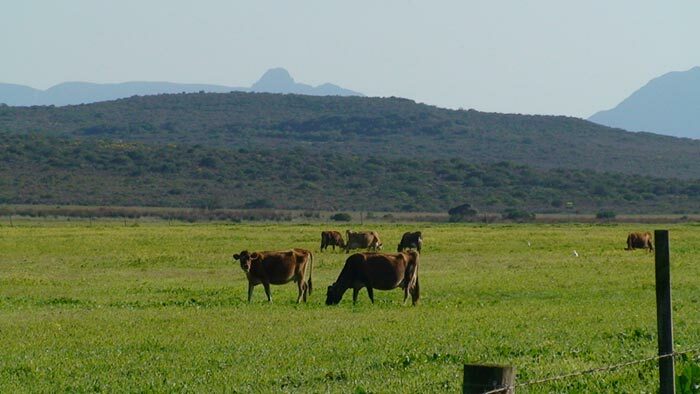 The farm is situated on route to Stilbaai, the well know holiday resort in the Southern Cape. 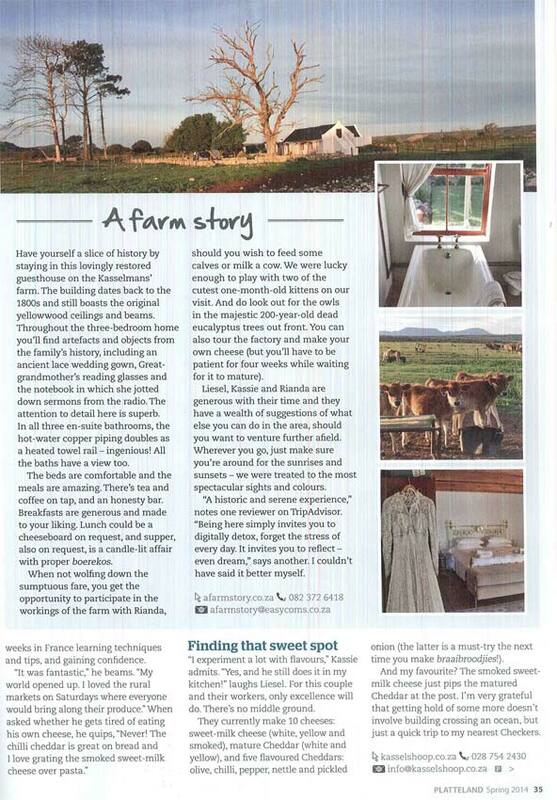 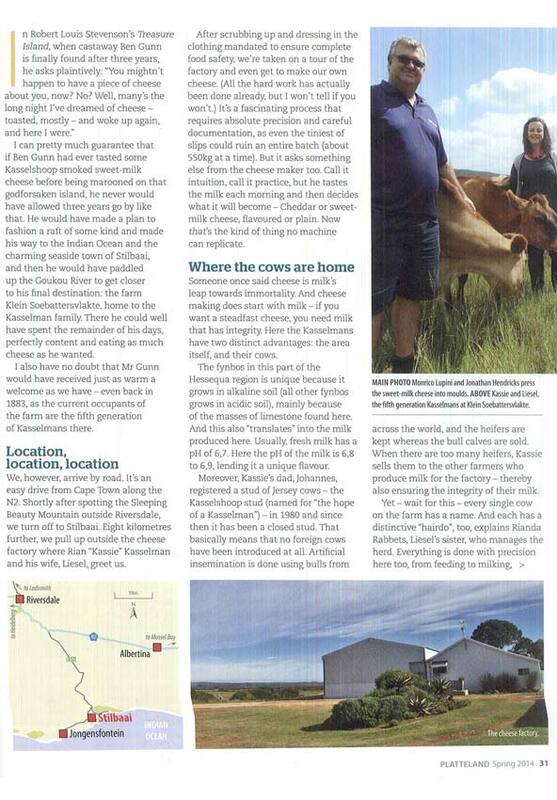 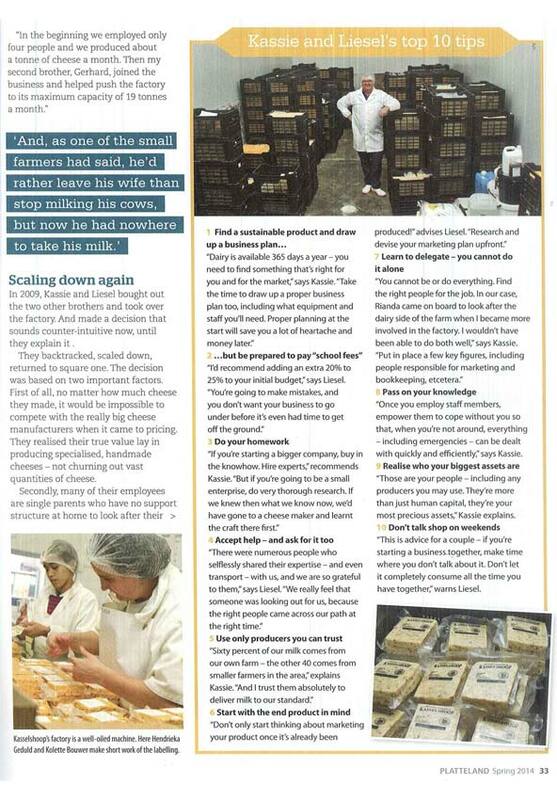 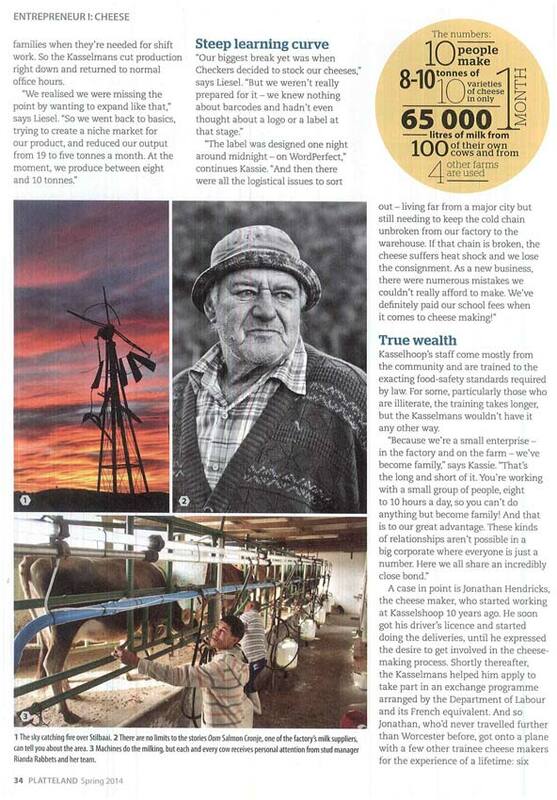 Here, in the heart of "fynbos" country, four generations of Kasselman's have been breeding Jersey's known for the rich and creamy milk they produce.